As we counted down the days to our trip to Disney World, I asked my youngest daughter Misha what she was most looking forward to seeing or doing? She replied that she couldn’t wait to meet Elsa. One way we ensured that the trip was impactful for our daughters was to build up the anticipation with these conversations and to involve them in the planning. For example, I made a scavenger list and had them use the list to pack their own carry-on luggage with items like sunglasses, books, LOLs and notepads. Although it has been 5 years since Disney released Frozen in theatres the popularity of its break out stars Elsa and Anna has not waned. Their popularity has revived the classic French Braid hairstyle. A single French braid in the case of Elsa and a double French braid for Anna. Consequently, the hairstyle has been requested by my daughters on several occasions. Unfortunately, I have found it to be a less than ideal choice for curly hair because it doesn’t seem to last. Which prompted me to experiment until I found a solution. 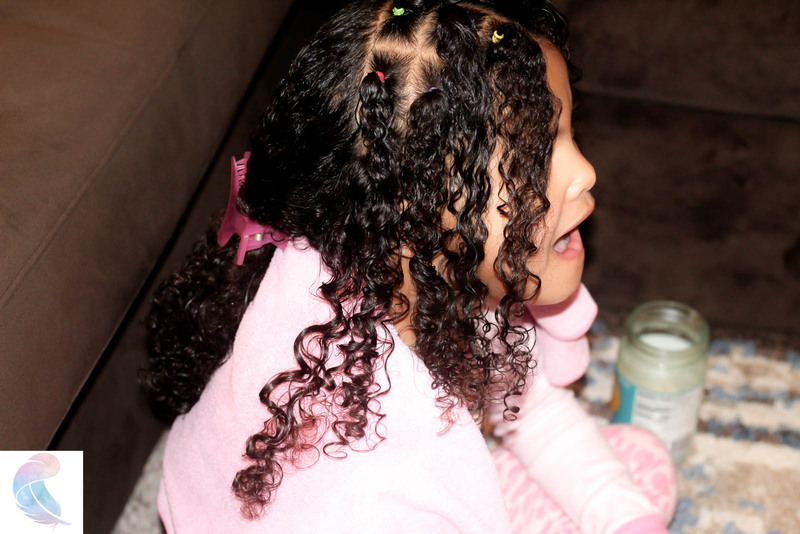 Here is my workaround on how to create a lasting protective French braid for mixed girls with natural curly hair. 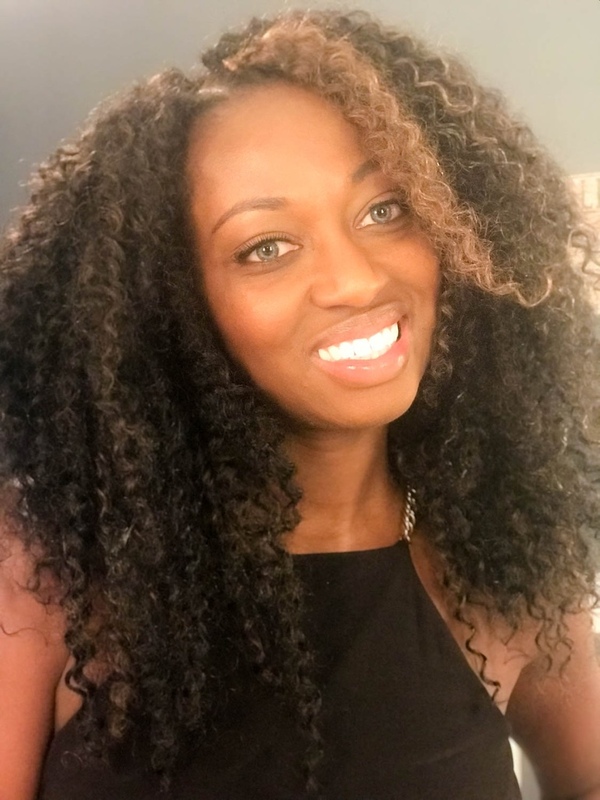 Giana has a 3b/3a curl pattern and Misha has a similar texture with some of her hair around the perimeter falling looser into a 2c wavy pattern. Whenever I braided their hair into a French braid I would notice that as the hair dried and the curls reverted the smoothness around the edges dissipated. The braid became frizzy and I would have to unbraid it and do it all over again within a day or two. In my opinion a protective style that doesn’t last 3 days or more and cannot be morphed into a second style isn’t worth my time. Armed with that knowledge, I started to ponder what about the styling process made it successful? 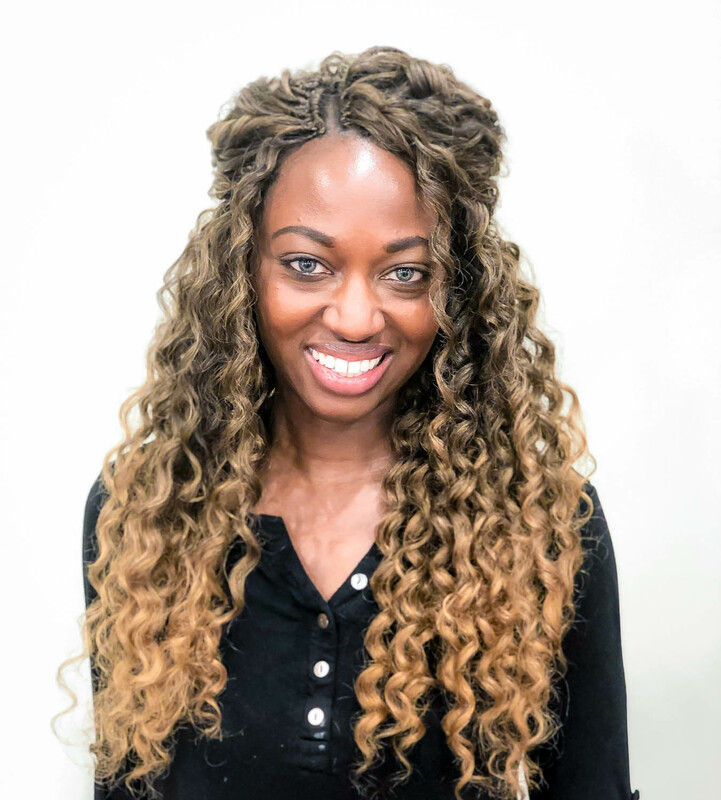 I noticed that by sectioning the hair into 1 inch by 1-inch squares and smoothing each section, the curls were stretched and subsequently remained more tamed. I wondered if I could use this same technique to create a sustainable braided style. Therefore, I proceeded to section the hair first and then add the French Braid. Thus, we created a French braid with a little more pizazz and longevity. 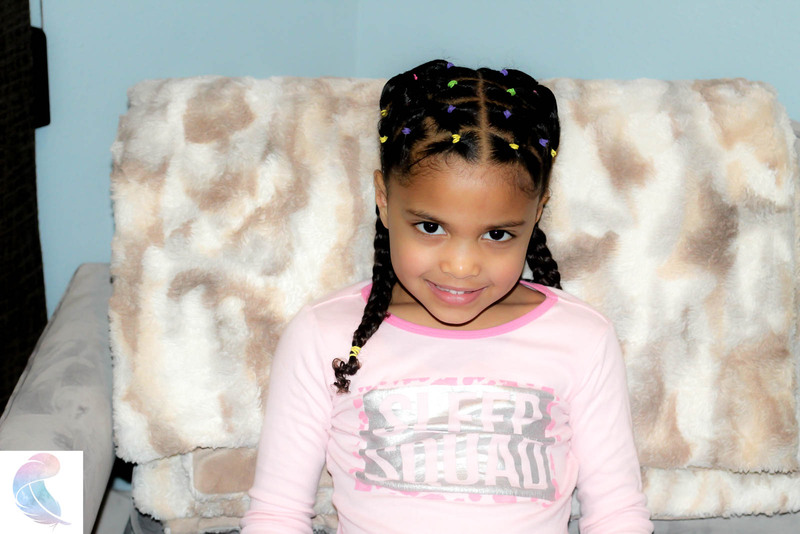 Here are the full instructions on how to create a French braid on Mixed kid’s hair that last! As we usually do, we spritz the hair throughout the week with a mixture of water, oil and aloe juice. We also added a little mouse to smooth down and hold the braids. Misha rocked this style from Monday through Friday. 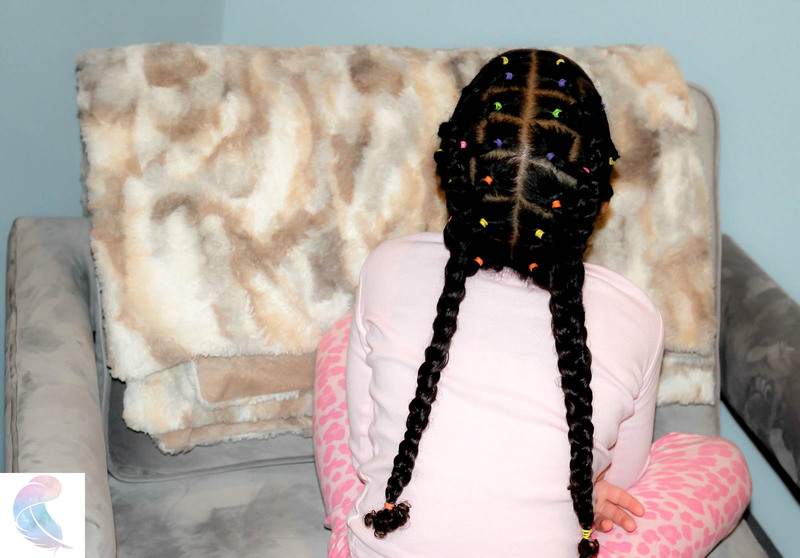 On the fifth day we unbraided the French Braids. Then added more moisture and she was able to wear the sectioned hair as a second style. We could have also converted those sections into twist. 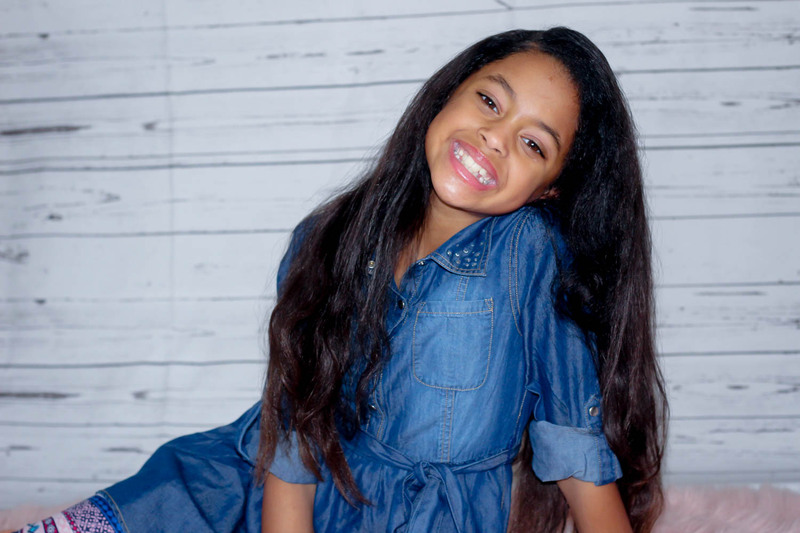 It can be disheartening to disappoint our mixed daughters when we cannot achieve a commercialized style that is meant for straight Caucasian hair. Elsa is defining a standard of beauty and reinforcing one image into young girl’s minds. We have taken that frustration as inspiration to create unique hairstyles that we share on Laufty Life Blog. To my delight, these styles have all the straight-haired girls at their schools asking my daughters, who did your hair?